Because of the miracle of the 4WD vehicle Antero is our shortest 14er hike to date. 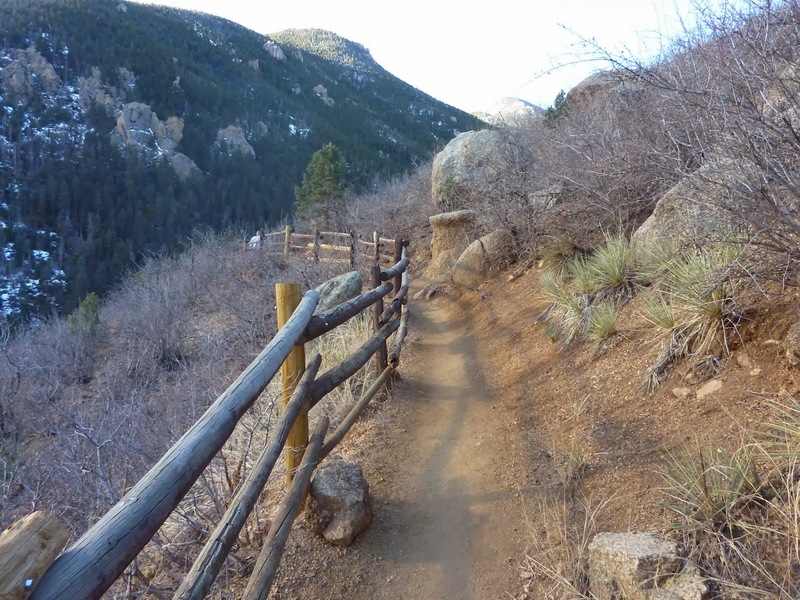 If one were to hike the extent of the road from Baldwin Gulch it is a long 15 miles round-trip with 5200 feet of elevation. If one drives up the 4WD trail the route gets shortened significantly. We were able to drive up to just over 13,000 feet. This made for under 3 miles round-trip for our hike. We followed the road until snow forced us to make a stop. We actually followed onto a mining around around to the south side of Antero. 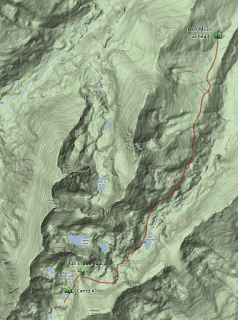 Our recollection is that Antero had many informal roads at that elevation, not unlike Mt. Bross. From our parking spot we made a bee-line for the summit. 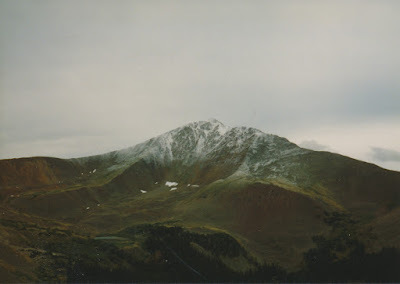 We had a cloudy day on Antero and had snow on the peak. It is typically unusual to have snow this early in August but on a mountain like this anything is possible weather-wise. The snow cover was not thick though, the rocks had no more than an inch scattered about them. Our hike went well. All four of us summited without any trouble. Most difficult challenge of the day was simply the long drive up the 4WD road. But with every mile we made it up the road we were thankful that we weren't walking it. I do not have the original track file from this hike. Embedded is a track from a more recent hike for Antero. We drove to over 13,000 feet on the road. Our estimated starting point is near the red pin. Just two photos from this hike. The first is a look at Tabeguache Peak from Antero. 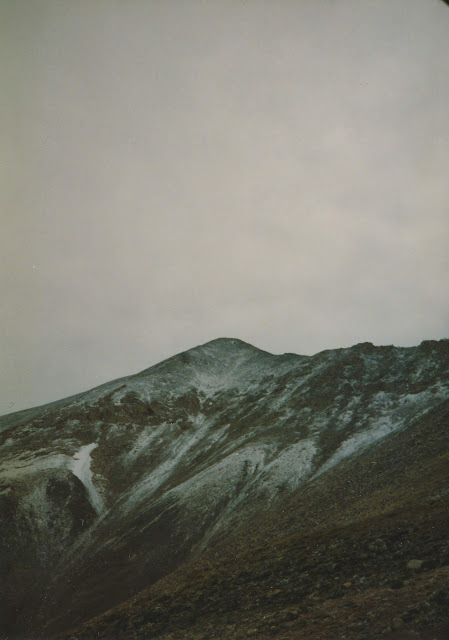 The second is a look at Antero from the 4WD road.